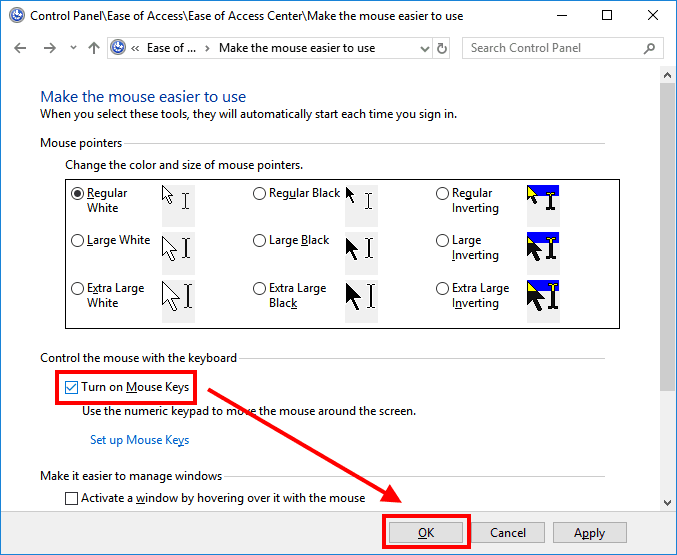 In this article, you will see how you can set up a keyboard to move a cursor. 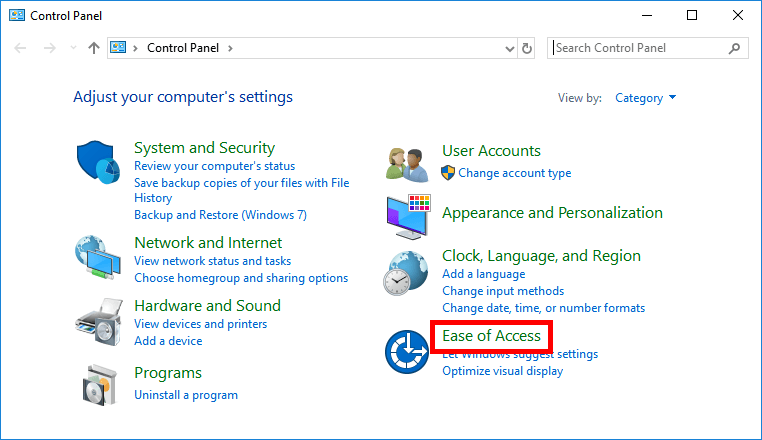 This might be very for people with disability that prevents them from using a mouse, or simply when your mouse breaks. Use keypad buttons to move left, right, up, down. Diagonal movements are also possible. Left click is mapped to 5 key. By default you need to have Num Lock on to use the feature. It is possible to configure it in the settings. Check Turn on Mouse Keys. Accept by clicking OK button. If you want to configure details click Set up Mouse Keys.